Joan serves as Chief Marketing Officer for The New Home Company. She joined NEW HOME not long after the company was founded in 2009 and since that time has played an integral role in establishing the company’s brand through a commitment to architectural excellence, award-wining buyer experience, customer service and innovative, technology forward marketing programs.She has been a part of the executive team that guided NEW HOME from a private homebuilder to a publicly traded company listed on the New York Stock Exchange and also opened its first division outside of California with the establishment of operations in the Phoenix market. She leads the Company’s marketing, design studio, and escrow teams, hold the Company’s Broker License and provide best-practice management for the sales teams in all NEW HOME divisions in Southern California, Northern California and Arizona.As CMO, Joan oversees NEW HOME’s strategic approach to market research, identifying buyer trends and preferences and applying that knowledge to product development efforts.Joan has more than 25 years of experience in the homebuilding industry. She served as Chair of the California Homebuilding Foundation Board of Trustees in 2016, the first woman to hold that position. 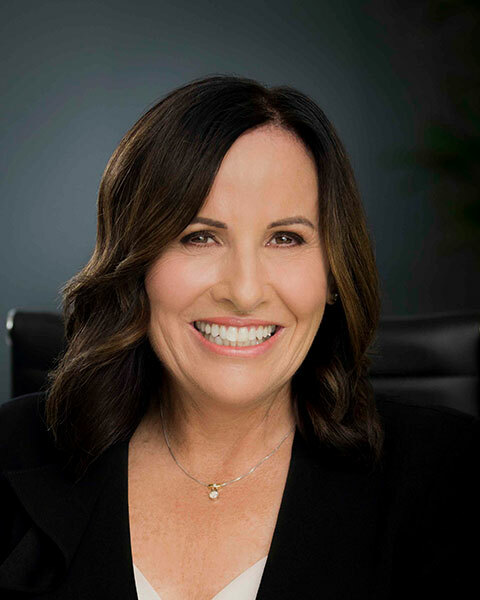 Joan served as President of the BIA/OC Board of Directors in 2015, the same year she founded the BIA/OC Women’s Leadership Conference, an annual event held in Orange County, California. In 2015, she received the Max C. Tipton Memorial Award, which for more than 40 years has recognized the most influential thought leaders in the Southern California homebuilding industry for marketing excellence. She received her Bachelor of Arts in Political Science from University of California, Los Angeles.